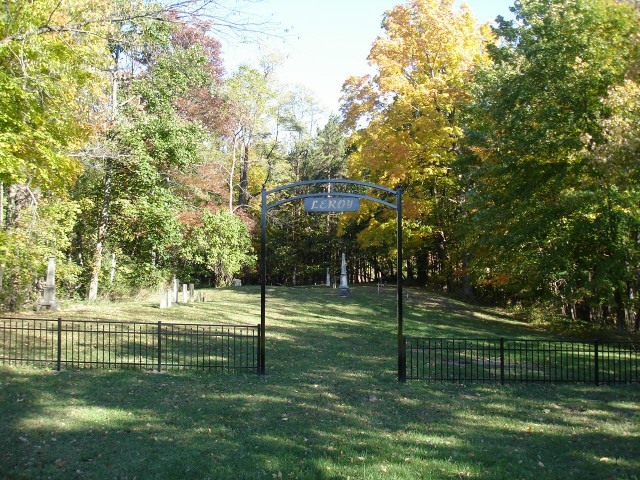 The village of Leroy was founded in 1826 and it appears that this was the first grounds used by the village for burying its dead. 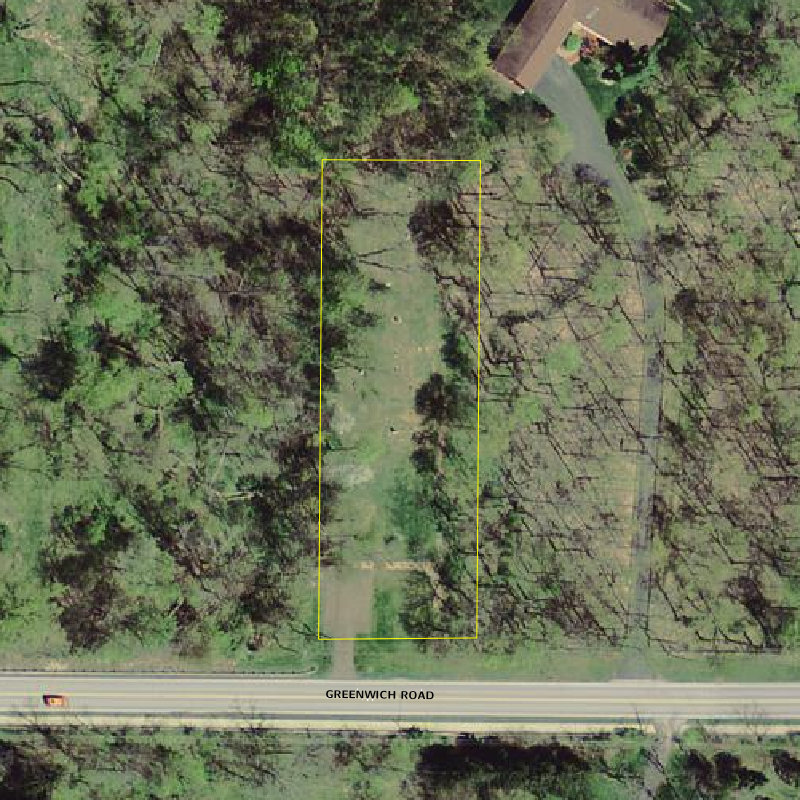 That it was eventually abandoned as the primary cemetery can certainly be attributed to the larger grounds on the west side of the center which came into use not long after this one. Use of this cemetery as the primary village burial place during the 1830’s seems evident given that there are four times as many burials from that period found here as compared with the west cemetery. Interments remained steady throughout the 1840’s and 1850’s but dropped off almost completely following 1860 after which only about a dozen more burials were made. By that time the west cemetery had clearly gained prominence and it is certainly possible that bodies were moved from this cemetery to the one across town. Despite being at the center of the village of Leroy – and then Westfield Center – the cemetery remained under the care of the township of Westfield. This detail was rectified in September of 2008 when the property was transferred to the village of Westfield Center. A gate and parking area were added in front in 2009 and trees and bushes were planted. No original records have survived for this cemetery. A WPA map exists showing the layout as found here (map coming soon). The listings here have been drawn up almost entirely from the remaining headstones. The cemetery’s dimensions are 99 feet (west-east) and extends 300 feet from the road although graves are not found in the parking area and region south of the fence. The WPA map shows graves extending almost to the road but there is no evidence to suggest this is actually the case.